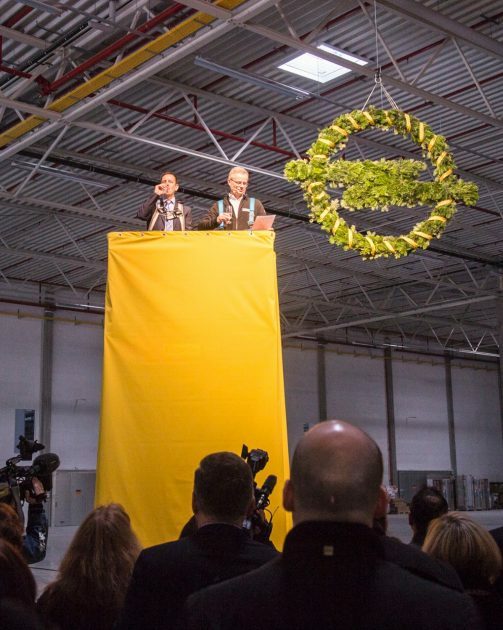 Opel this week held a topping out ceremony in Bochum-Langendreer to celebrate the creation of its latest logistics site. The ceremony was attended by Bochum’s Lord Mayor Thomas Eiskirch, Opel Vice President of Communications Johan Willems, and reps from contractor Goldbeck. 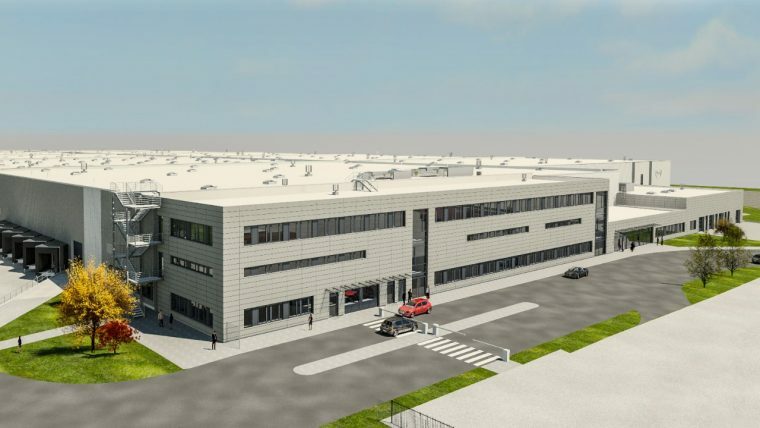 Upon completion, the logistics center will provide spare parts for more than 11 million Opel owners across Europe and cover a surface area of 95,000 m­­­2. Opel estimates that its dozen supply sites throughout the continent service 100,000 orders or more on a daily basis. “This new construction will help us improve our logistics processes significantly. Supplying our more than 5,500 dealers across Europe with spare parts in a fast and smooth manner is an important part of customer satisfaction,” said Willems. According to Opel, the project of building the Bochum logistics center requires approximately 16,000 truckloads (400,000 tons) of soil. In the next phase, more than 30,000 m3 of concrete will be necessary to create everything from a 12-meter-high roof and the 326 pillars that will support it. “This new construction is one of multiple large projects currently being undertaken in our city. These are strong signals for the attractiveness of the site in the heart of the Ruhr metropolis. Bochum is a city worth investing in. And even though there is still a lot of work to do, the results of the last two years show that something special is being created here in Bochum,” said Eiskirch.